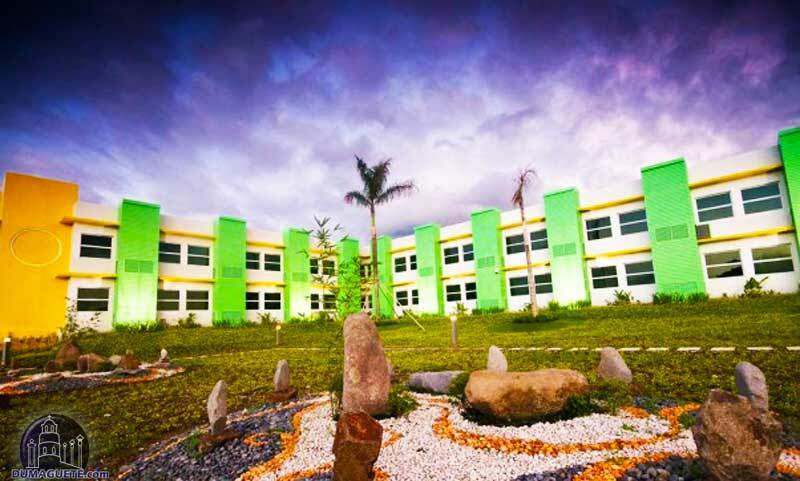 Go Hotels Dumaguete is located at the south of the city center next to Robinsons Place Dumaguete. The budget hotel offers great deals for advanced bookings. If you know your travel plans ahead of time, you can get a room at Go Hotels Dumaguete as low as 388 Peso. 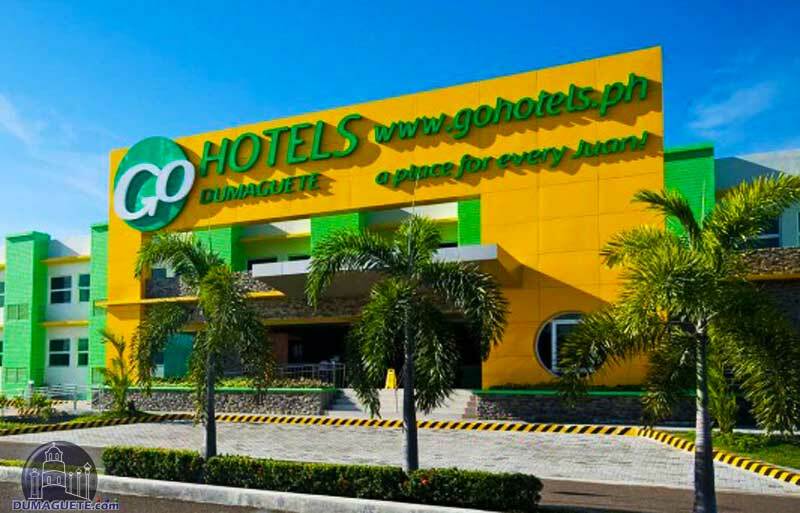 This budget hotel in Dumaguete is one of the branches of the Go Hotels chain which is part of the Robinsons Land Corporation. The Budget Hotel in Dumaguete has 102 rooms (60 Queen and 42 Twin rooms), a small restaurant and a conference room. The distance to air- and seaport is 15 to 20 minutes. To get to the Beach Resorts in Dauin one needs 20 – 30 minutes, depending on the resort. The city-center of Dumaguete is in 10-15 minutes walking distance, however it is advisable to use a trike for a few peso. Each room is fully air-conditioned and equipped with a 24″LED TV with cable, option of two single beds or one double bed, full vanity mirror, two pillows, duvet, intercom, in-room safe, bath towel, hot and cold shower, single-use soap and shampoo, and toilet paper. 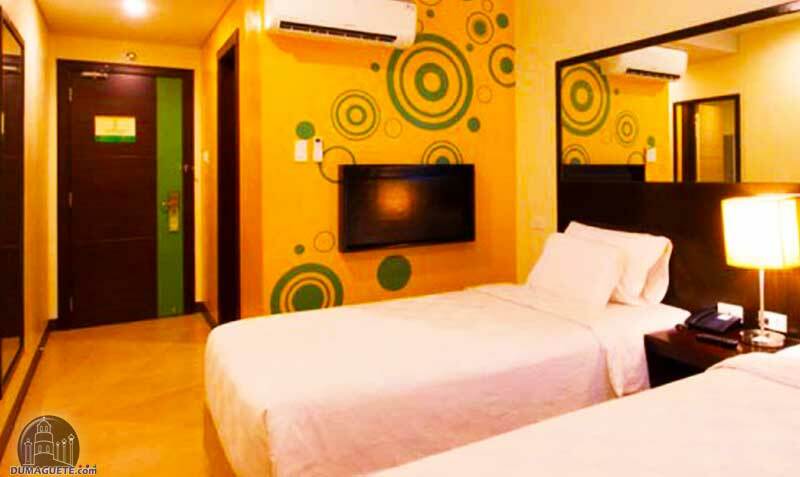 The Budget Hotel in Dumaguete offers additional services, like laundry service, airport transfers, breakfast and snacks, Spa and Massage Service and a convenience store.